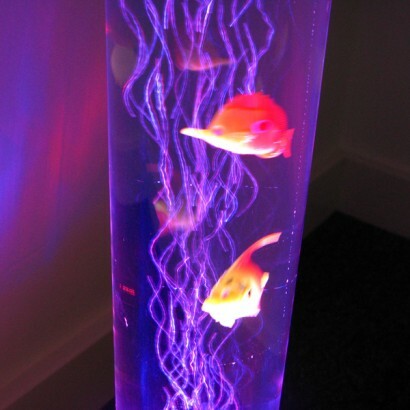 A stunning night light or floor lamp, the LED Bubble Fish Lamp stands at either 90cm or 120cm tall and makes an impressive colour change room feature. 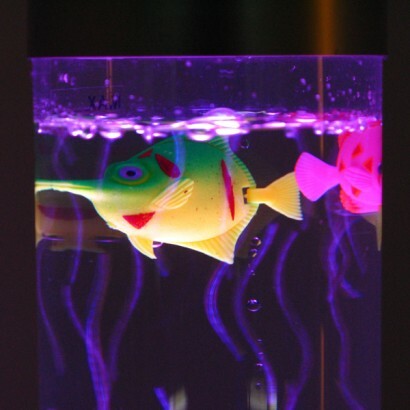 Perfect for children's rooms or for adding a little personality to main living areas, this quirky lamp combines bubbles with plastic tropical fish and soothing colour change light to make a stunning mood light. 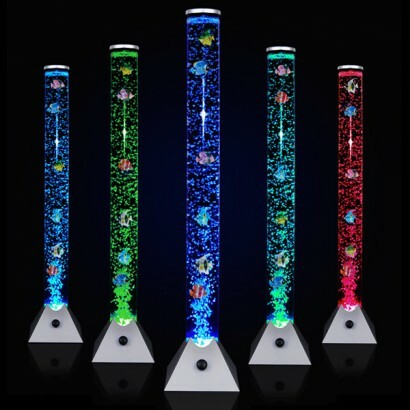 Brilliant for promoting visual stimulation with vibrant colours that calm and soothe, this LED Bubble Fish Lamp also makes an engaging sensory lamp. 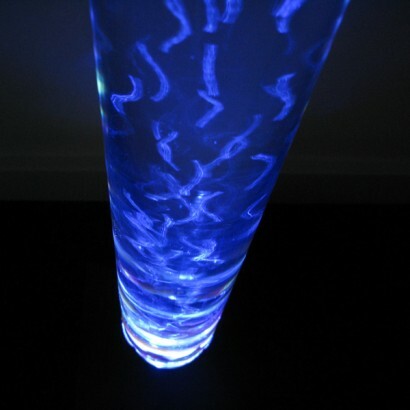 Both realistic and creative, the bubble lamp will encourage concentration and focus as well as 'visual tracking' which means that not only is this lamp an excellent night light for bedtime, but it also is a fabulous developmental aid for young and older children. We bought this lamp for my partners Godson for his christening present after he went to eureka and loved the one they had there. It is brilliant and he loves it!! The colour changing, bubbles and fish have him mesmerised! Delivery was fast and customer service afterwards was excellent. Would highly recommended using The Glow Company! Arrived promptly and well packaged.this was a gift for my son and hes very happy with it. Only hassle was we had to buy distilled water for it, so maybe you could make that clear on the website. Fantastic product :) cant fault it. Our child LOVES it! I had one of these when i was younger and i really liked it. It was so relaxing and so pretty to look at so i bought one for my son's room and he absolutely loves it. He is only 5 months old and he just watched it for ages. Also since purchasing this, I have found he falls to sleep a lot quicker than before as he just kept crying. And in the morning, he doesn't cry for his bottle straight away anymore as he is too busy watching the fish swimming around so it gives me chance to get his bottle ready quick. Fantastic, highly recommend it. The item arrived within a couple of days of being ordered which has come to be the norm for all orders that I have placed with the Glow Company. 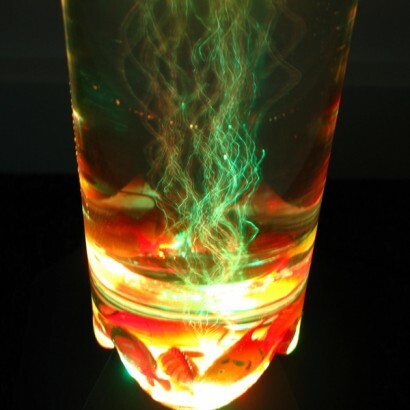 The item is attractive and can become quite mesmerising particularly in the evening in a dark area. The is a slight hum from the motor but this seems to become less noticeable after a while. Thoroughly recommended.